Manchester Giants are pleased to announce the return of Dean Wanliss for the remainder of the 2018-19 BBL season. The 6’6″, 30-year-old, British forward previously played for the club in 2016-17, making 25 appearances and growing in influence as that campaign progressed, averaging 6 points and 4 rebounds per game over the last five games. Wanliss had a good start to this season at Worcester Wolves, averaging 4 points and 3 rebounds in seven games, shooting the three-pointer at 29%, including 8 points and 5 rebounds in just 14 minutes per game in his first two appearances over their opening weekend. And this was complemented by a string of impressive defensive displays, none more so than a muscular battle with Willie Clayton when Giants visited Worcester in October. Last season, Wanliss played for Leeds Force in the BBL, averaging 10 points and 5 rebounds per game; before joining Barking Abbey Crusaders in NBL Division 1 where he contributed 6 points and 4 rebounds per outing. 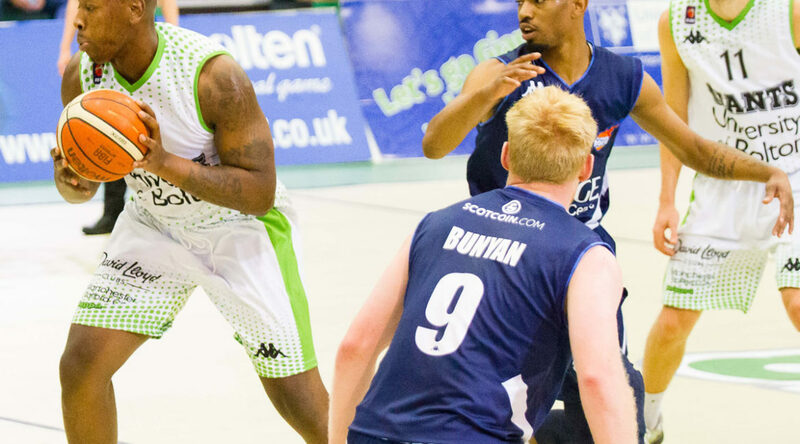 He started his BBL career with Leicester Riders in 2013. Wanliss was set to sign overseas after leaving Worcester in November, but when that deal fell through Head Coach Danny Byrne was quick to swoop and bolster the Giants’ frontcourt. Byrne said: “Dean is coming in to fill a crucial role for us as we look to add size and strength for the second half of the season. It’s no secret that we’ve lacked depth in our frontcourt rotation, and we’ve been looking for a player who can come in and give us great defensive minutes, also offering a bit of strength as well as a shooting touch and therefore able to rotate for both Willie and Vlatko, and also Torry if required. Wanliss will make his first two appearances back at Giants this weekend against his two former clubs, as we visit Leicester Riders on Saturday night before hosting Worcester Wolves in the first game at the George H Carnall Centre on Sunday. Tickets are available online, CLICK HERE, or by calling 0161 747 2485.